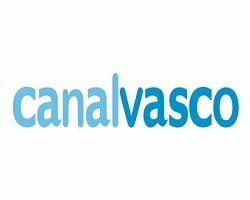 General TV Channel / Canal Vasco is the name that the Euskal Irrati Telebista group uses to broadcast its international television channel, ETB Sat, via satellite and CATV operators in the Americas. This channel brings Basque-language television and Basque culture to the large Basque community residing in the Americas, as well as other citizens of these areas. Its programming is based primarily on self-produced content from the domestic flagship channels ETB 1 and ETB 2.